Review and photos provided by Amy Hesselgesser, thank you Amy! 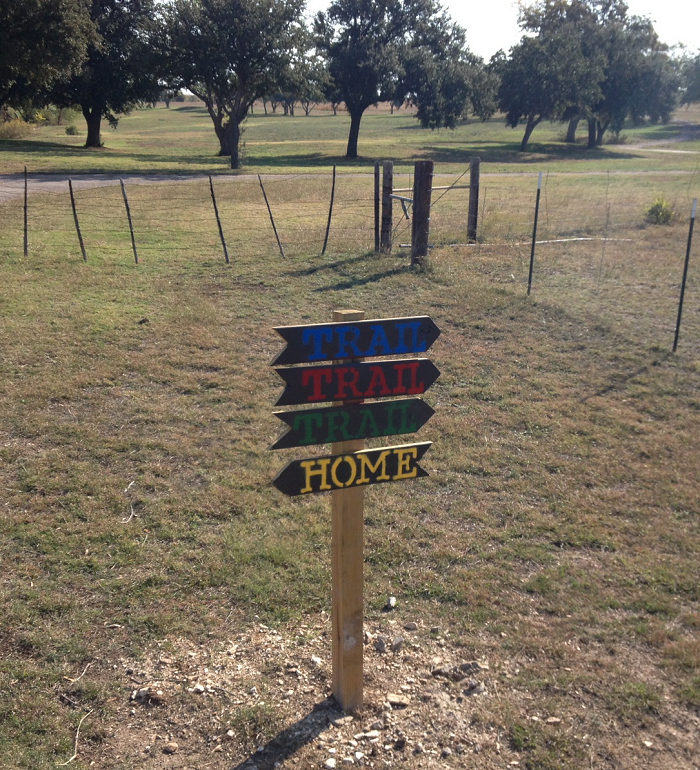 Hi View Ranch has now opened several miles of equestrian trails for bring your own horse trail riding! Photo provided by Amy Hesselgesser. Contact: Ranch Director Casey Bilbrey, 214-564-5573. 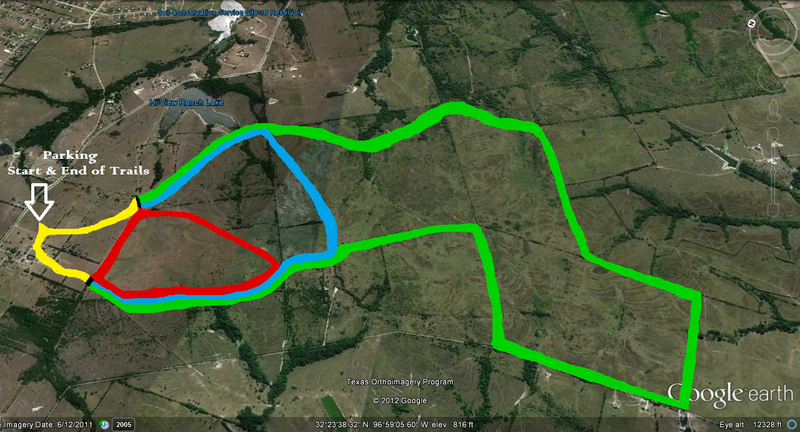 Directions: The ranch is located in Midlothian and is about 45 min south of Dallas. Take HWY 287 to Midlothian and exit at FM 663. Head south on FM 663 about 5 miles to where the road ends at the stop sign for FM 875. At the stop sign turn left. You will see the white buildings of the ranch immediately on your right. Take the second gate into the field east of the white houses and park your trailers there. 10$ per horse per day. Riders must fill out a waiver and contact Casey to make an appointment to ride. Ranch is open 7 days a week for riding. Trailhead is in a large open field east of the ranch homes with plenty of room to maneuver your big rigs. The terrain is open pasture with rolling hills and trees with a few rocky areas. Shoes are not necessary. There is a small lake on the east side of the blue/green trail. Mileage: Unknown at this time, however, Casey will be sending in this information soon. The trails are color coded; green, blue, red, and yellow. Facilities:Overnight camping with your horses is allowed. The camp ground area is primitive (no hook ups or pens) but generators are allowed. You can tie your horse to the trailer, bring your own pen, or picket them. The campground is by the lake and also has volley ball courts, picnic tables, and you can fish at the lake. The Ranch also has rooms available to rent. Dogs: Dogs are allowed and can even be off lease so long as they are friendly and don’t cause mischief. From the Parking Pasture next to the trail head, the white houses are Hy View Ranch. Description: Hi View Ranch is a Christian based facility and working Guest Ranch where you, your family and friends can enjoy a variety of activities such as Horseback Riding, Fishing, Hiking Tennis, Horse Shoes, Volleyball, Walking Trails, Picnic Areas, Camping, Bird Watching, Campfires and more. 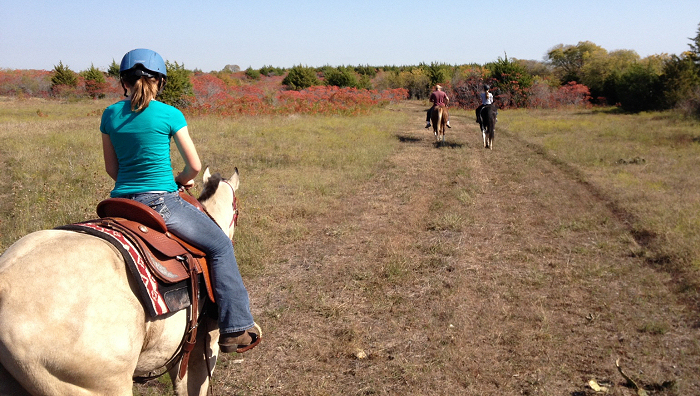 The ranch has now opened several miles of equestrian trails for bring your own horse trail riding. There is over 2500 acres of excellent trails, which provide a real open range feel!